Quilt and Embroider (12-18 needles) horizontally alongside the width of fabric. Especially for the horizontal and straight quilting & embroidery designs on the fabric. 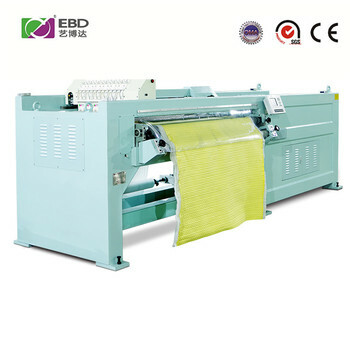 The machine adopted large rotary hook to make neat stitches and with lower noise, and effectively reduced defects such as miss stitches, loose stitches, coarse stitches, etc. Quilt & embroidery completed simutaneously. The integral steel structure machine frame with higher intensity and stability. Infrared protection device in all direction make machine operation more safe and reliable. 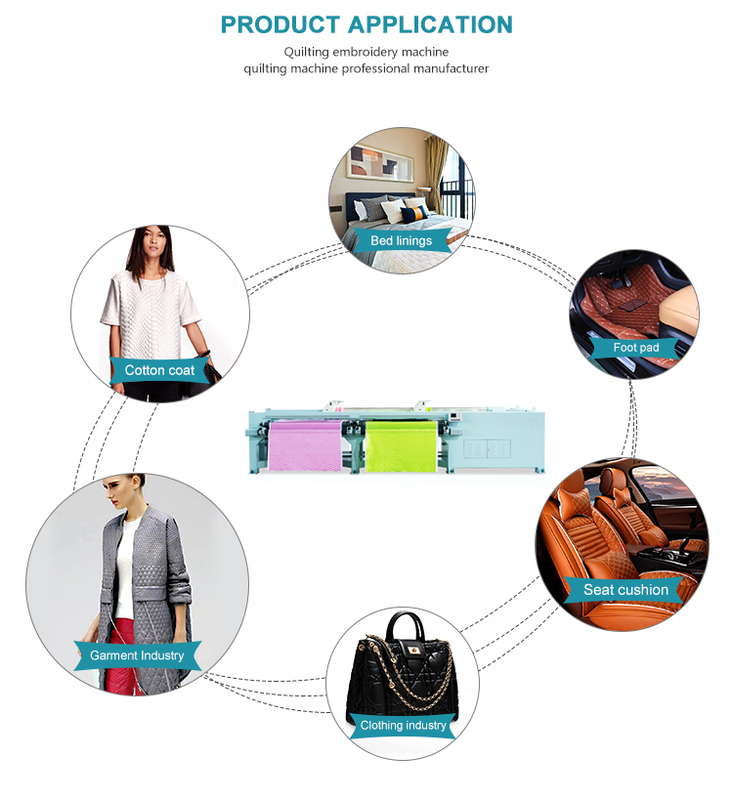 Function of independent patterns interval quilting, adopting Tensile Motor to keep the fabric smooth at the inlet and outlet fabrics. Main axis and XY axis are all adopted the Servo Motor. Function of under and upper thread auto detector, red light displayed on the thread broken position. 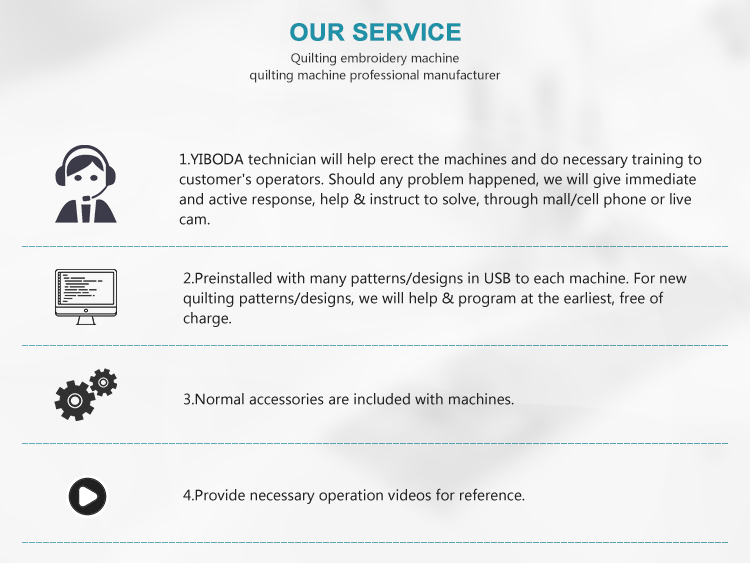 Function of edit patterns on the equipment directly, and convenient to read the embroidery format. Stitches between 1mm-12.7mm adjustable, Sewing Speed: 800-1000/R.P.M. 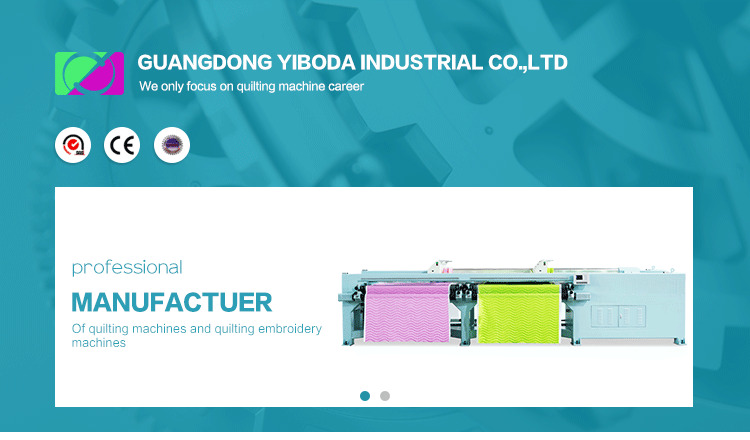 Safe operation display of quilting and embroidery; Automatic needle run-up and orientation brake system. Function of pattern patch-up, can efficiently solve the distorted patterns when quilting the thick materials. Prepared plenty patterns for your choice.